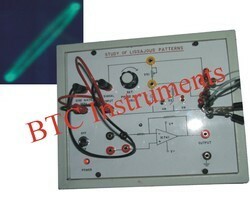 BTC Instruments Made apparatus to Study of Lissajous Patterns Apparatus has been designed to study the various Lissajous figures when sine wave signals of same frequency differs in phase. Fixed Output DC Regulated Power Supply of +15V. Builtin Sine Wave Oscillator of 1 kHz frequency. 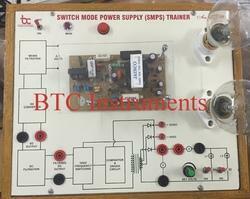 Capacitor resistance are mounted behind the front panel selectable through SPDT switches with connections brought out on sockets. One potentiometer (S) is mounted on the front panel to change the phase difference. One operational amplifier IC 741 is placed inside the cabinet with connections brought out on sockets for 180°Phase Shift. 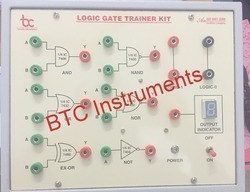 We are a prominent firm engaged in manufacturing and supplying Logic Gate Trainer.These are based on modern technology and are provided with superior features. A wide selection of fine rocks and mineral specimens from all around the world. We have minerals from micro mount size to museum size in a wide range of prices. 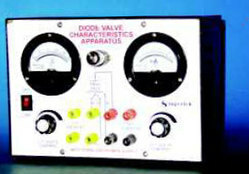 Looking for Analog Lab Training Modules ?